It’s theme month time! Winter and the holiday season brings with it DCember. I already draw an unhealthily disproportionate amount of DC Comics characters – particularly Batman-related, so I try to force myself to draw some more oddball choices. To help with that, I rely on my friend and DC Comics expert Joe Grunenwald. Usually for theme months, I make a list. I do not have one for this round. I’m ahead, but it’s adult swim out here, no lifeguards. Feel pity on Joe G. and his future of “DC Me!” texts on Christmas morning. Up first is The First Batman! 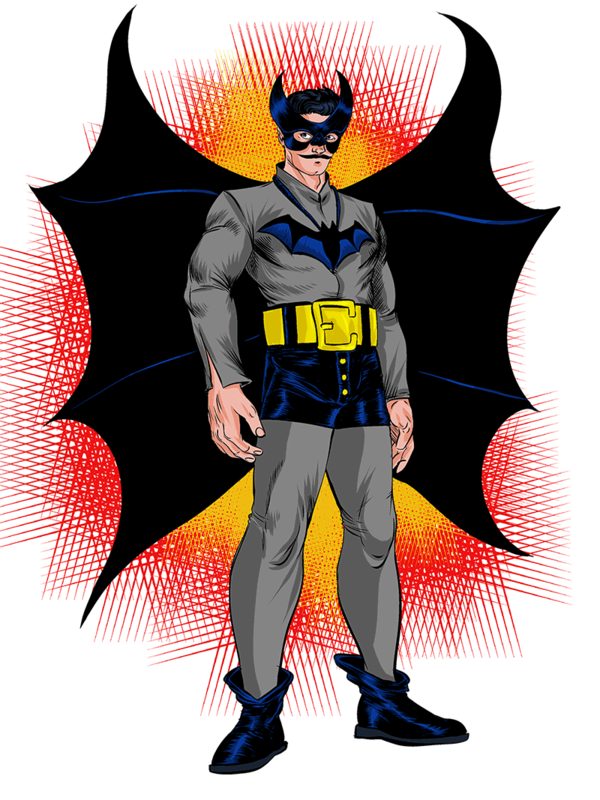 If you’re a huge Batman nerd, you know that Thomas Wayne, Bruce’s father, dressed up in this getup for a costume party. The party was crashed by robbers, and Thomas fought them off, planting the seeds for young Bruce to murder his own parents and dress up as a broken adult and beat up crime. I took some liberties with the design of the outfit.